Location: Nestled between Preston and Central Expressway, Central Plano has quick access to all of the major thoroughfares on the Dallas side of the Metroplex. Add to that the large DART rail station, travel to and from the area is easier than most Dallas suburbs making it one of the best places to live in Dallas. Schools: From K-12, Plano schools rank among the state’s best, with over a 90% success rate on the STAAR exam. Plano West and Plano Senior High offer education opportunities unavailable at smaller schools. Ideal For: Families and commuters who work on the north side of Dallas. Location: Set north of 121, Frisco is one of the outlying suburbs of Dallas. Though this means longer drive times into downtown, many corporations, like Dr. Pepper and Pizza Hut have corporate headquarters in neighboring cities. Schools: Frisco has grown rapidly over the last decade, but the school system remains exceptional. Pass rates on the STAAR exam are nearly 95%. The district contains five high schools, each of which have smaller class sizes and enrollments than districts of a comparable size for greater personal attention for students. Ideal For: Families looking for all of the benefits of a traditional suburb, with big city amenities or those working north of I-635. Location: When looking at where to live in Dallas, people often overlook the southern suburbs. Duncanville stands out as the premiere city south of downtown for its affordable housing and strong sense of community including it as one of the best places to live in Dallas. Since it is so far south, you can avoid much of the congestion on major arteries like I-635 or 190. Schools: The Duncanville ISD improves performance year over year, with close to an 80% pass rate on the STAAR exam. Where the district excels is in arts and music, offering the best programs in the state. Ideal For: Employees who work in downtown Dallas or any of the southern suburbs. Location: Uptown is most popular neighborhood in Dallas itself, set north of downtown between Central Expressway and Preston. The neighborhood connects to the West End, and you will find plenty of shopping and entertainment within walking distance making it one of the best places to live in Dallas. Schools: Students in the area attend Dallas ISD schools. Though the magnet schools, like the Kimball Math and Science Magnet, provide unique and specialized educational opportunities, other schools in the district suffer with low pass rates on the STAAR. Location: As one of the mid-cities, Southlake is halfway between Dallas and Fort Worth. Highway 114 can take you almost anywhere you want to go in the area, but the commute into downtown Dallas can be long. Schools: Soutlake schools are frequently rated the best in Texas, with over 97% of students passing the STAAR exam. The community takes great pride in their school system, with thousands turning out for sporting events and concerts. Ideal For: Families that want a small town feeling and access to all the Metroplex has to offer and being one of the best places to live in Dallas. 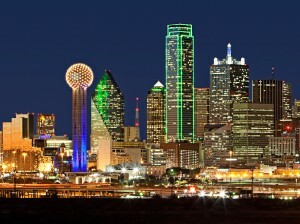 When looking at where to live in Dallas, there are dozens of factors to keep in mind. These five areas of Dallas have the best balance between cost of living, educational opportunities and easy of access making them the best places to live in Dallas.